What’s the going rate for an ‘A’ these days? How about the going rate from 1989-1994 when I was in High School? Let’s say I was given $50 for every top grade I earned…I would have graduated with a decent sized bag with a $ sign on it (which would have then been handed over to my university and never seen again). That actually sounds pretty damn good. Why could I not have turned my ‘A’s into cash and used that cash to pay for further education? It would have made that statistics class a lot easier to sit through knowing that I was paying with free money. But it would not have been worth it. A teacher of mine at UVic made us read an article by Alfie Khon on reading and learning and engagement in the educational process and I was hooked. He talked funny. He said things like “grades are bad for learning,” and “homework doesn’t work as well as we think it works.” Yet I had gotten into university because I had decent grades. I received a Passport to Education from the BC government (the NDP at the time, you know, the ones that seem to care about education. Oh ya. Shot fired!) and a few other monetary incentives based on my grades. So was I punished by these rewards? Not necessarily. You see I loved going to school. I didn’t love it all the time or all the subjects I studied all the time, but I did like the learning process. And as I got older, I loved it more and more for the sake of the person it made me and not for the degree or degrees I have received from my work (I do appreciate the degrees because they took a lot of work to get). 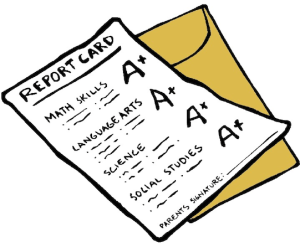 Yet a lot of what I see in school from students are “Grade Hounds.” (nice version of the term) These are students who are fixated on the grade, the percentage, “passing,” and it makes me sad. I don’t blame them because they are being trained to do this. The system starts handing them out in grade 4 (holy sh@t!) and doesn’t stop. Parents want them to be good and apply pressure and start offering rewards in an honest attempt to get the best out of their children. But they’re wrong. Oh, the burden of growing up with intrinsic motivation held aloft as virtue – before such a concept found modest traction in the education culture at large. But no – we had to be raised on Socratic values, on the conundrum of a question like, “If something isn’t worth doing, is it worth doing well?” Take algebra, in my case: No! And yet … my answer cost me a second year in Algebra I. I showed them, all right!